The South East Cyclo Cross Championships 2018 held at Cyclopark, Gravesend, Kent on December 2. On the first weekend of December across Great Britain the Regional Cyclo Cross Championships are held and I was at the South East Championships promoted by the London Cyclo Cross Association and British Cycling SE. 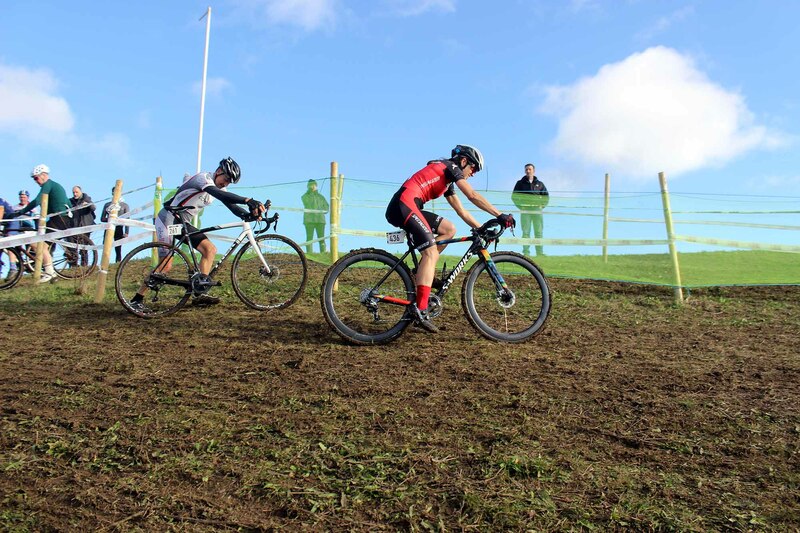 The racing used almost the same course that will be laid out for the 2019 British National Cyclo Cross Championships to be held in January. Many people get a bit confused by the Regional Championships because the mainstay of cyclo cross in Britain are the regionally based league’s. People can ride in anyone of these, but when it comes to the Regional Championships (Road, MTB, BMX and Track also) they need to have the correct postcode that sets them within set British Cycling administrative regions. So many people new and less so to cross are not aware that leagues can overlap regions and are open to anyone. How we got to this point is a long story. Sorry, no pictures from the youth races as I was helping to judge those. Below are shots and video links from the women and veteran men 50, junior men and veteran men 40 and the senior men’s races.